Are you looking for a hot box hire company in the Midlands? We at N D Brown have a depot conveniently placed in Wolverhampton – as well as many other depots around the UK – ready to distribute from our fleet of over 450 vehicles. This means that no matter where you are or what type of hot box you’re looking for, we’re sure to have the right one available at all times for you. Here at N D Brown we pride ourselves on the fantastic levels of service we continually supply to our customers in the Midlands. 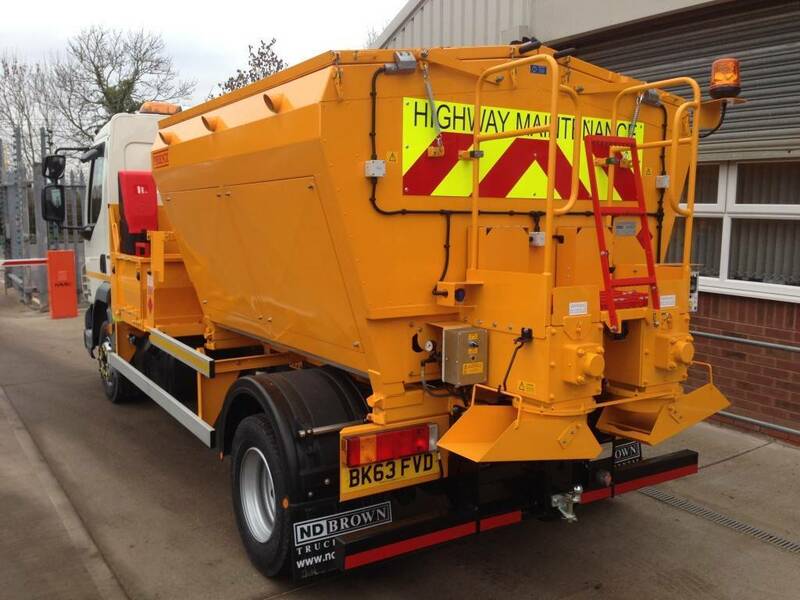 Hot box vehicles are ideal for pot hole filling, pavement patching and other road repair jobs, so if you’re looking to hire a hot box for some highway maintenance, you can rely on us to supply the very best tools for you. Fully equipped with an insulated container with thermostat control, enabling the temperature to be kept at optimum levels at all times. We stock a range of different sizes from 7.5 tonne capacity to 26 tonne capacity, meaning that no matter what size your job is,we have the perfect vehicle for you. Our staff collate over 25 years experience in the industry, so we know what we’re talking about! Each hot box is checked regularly and maintained to the highest of standards, guaranteeing excellence with every job it completes. Whether you’re looking to hire on a regular basis or as a one off job, we at N D Brown are the best choice for you in the Midlands – contact us today to discuss prices and details. Our durable hire vehicles are the ideal solution to your road repair problems, being excellently maintained by our staff they will never disappoint. If you’re looking to hire a hot box in the Midlands, contact us today and we can answer any questions you may have about our services.